Rotary Nantwich - welcome! 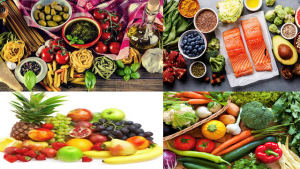 Please scroll/swipe down through this page to find out more about us, in addition to the pages linked in the menu, top-left. Guest Speaker Lord Lieutenant of Cheshire David Briggs M.B.E., K.St.J. Join Rotary and make a world of difference to your own community, to the lives of those less fortunate around the world, to your fellow club members - like-minded men and women of all ages - and, just as important, to yourself! 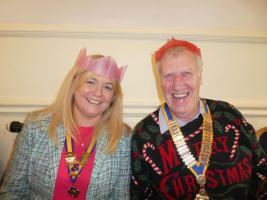 The projects Rotarians get involved in are incredibly fulfilling, worthwhile and rewarding - and there's plenty of fun. Nantwich Saturday April 28th 2018: On Saturday April 28th Laura Smith MP and Cheshire East Mayor, Arthur Moran presented prizes at the Nantwich Museum to winners and runners up of the 10th Rotary Club of Nantwich Primary Schools Art and Handwriting Competition. 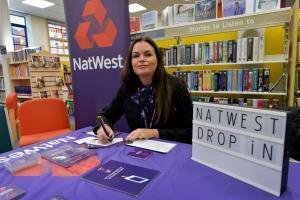 Nine local primary schools submitted almost 800 entries competing for total prize money of £600. 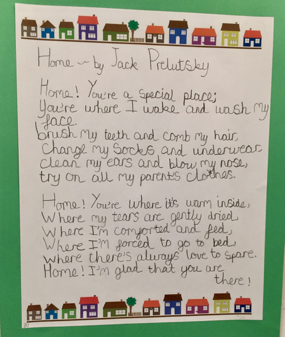 The theme for the competition was “My Favourite Place”, which was interpreted in many different and creative ways by the children. 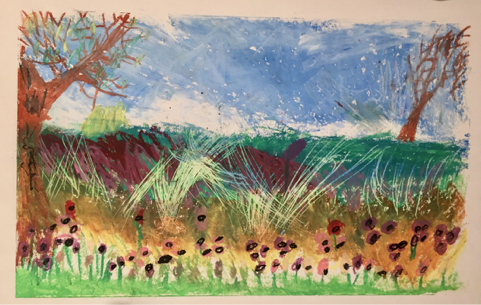 The judges were local artist and architect Martin Greenwood and calligraphy expert Frances Passmore who had the tough challenge of choosing the winners. The school judged to have the highest overall standard of entries in both art and handwriting was Stapeley Broad Lane. Kathryn Acklam from the school was thrilled to receive a cheque for £250 which is to be used to further enhance the school’s facilities. In addition, sixteen Silver Medal prizes of £25 in the form of gift vouchers plus a medal were awarded to the children judged to be runners up for artwork and handwriting in each Key Stage group. 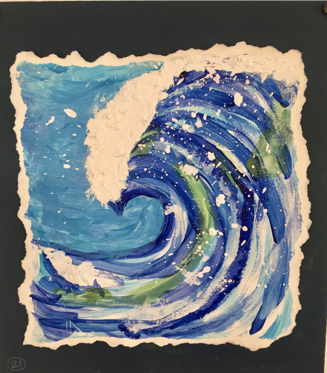 The children’s work will be on display in the Museum until 2nd June 2018. In the past four years The Rotary Club of Nantwich has supported 1,521 entrepreneurs, created 381 jobs and helped 5,200 family members in some of the poorest parts of the world. They have managed this through Lendwithcare, a revolutionary way to help some of the world’s poorest people work their way out of poverty with dignity. The Rotary Club of Nantwich continues to raise funds to support good causes both very close to home, and in very remote corners of the world. New members to our club are always made most welcome. Nantwich, August 22, 2017: The Rotary Club of Nantwich is supporting Sylvia Kerris, President of the Rotary Club of Eccleshall Mercia, on her 120 mile walk around the Four Counties Canal Ring. Sylvia, who is now over half way round her walk is thrilled to be blister-free and enjoying the company of other Rotarians, including John Meadows from the Nantwich Club who have joined her along the way. Sylvia’s goal is to raised £2,000 for Rotary’s PolioPlus campaign, which will be tripled by a donation from the Bill & Melinda Gates Foundation. Polio is a paralysing and potential fatal disease which is spread person to person, typically through contaminated water - and one that still threatens children in some countries. The poliovirus invades the nervous system and can cause total paralysis in a matter of hours. It can strike at any age, but but mainly affects children under five. Although there is no cure, there is a safe and effective vaccine – one which Rotary and partners such as the Bill & Melinda Gates Foundation - use to immunise over 2.5 billion children worldwide. In 1985, Rotary launched its PolioPlus programme, the first initiative to tackle global polio eradication through the mass vaccination of children. Rotary worldwide has contributed more than $1.7 billion and countless volunteer hours to immunise more than 2.5 billion children in 122 countries. In addition, Rotary’s advocacy efforts have played a role in decisions by donor governments to contribute more than $7.2 billion to the effort. 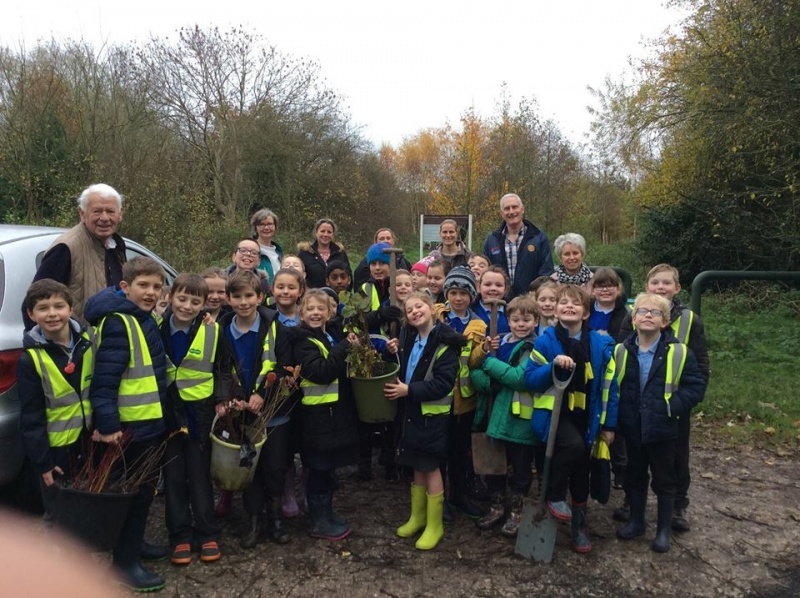 In return for the Rotary Club of Nantwich’s sponsorship of their ‘Living with Tigers’ programme, Chester Zoo donated entry tickets for a local school of the Club’s choice. 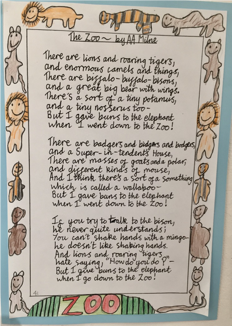 An additional donation from the Club to the school, paid for travel costs so that 25 Year One pupils, teachers and carers from Nantwich Primary Academy could enjoy a wonderful day at the Zoo at no cost to the families or school. The sunshine was an added bonus! “In the last 20 years the population in the Terai, Nepal, has increased by 81% to over seven million people. This has led to habitat loss and fragmentation, but despite this the area is viewed as one of the worlds’ best remaining tiger habitats. Across the Terai lowlands, effective conservation action has resulted in an increase in tiger populations; while this is great news, more tigers need more space and as a result are venturing into villages and killing livestock and, too often, people! Local villagers then retaliate through resentment and fear by hunting the tigers. This is cancelling out the hard work of those who have successfully protected tigers from poachers, so our on-going work is critical.” said Chester Zoo. 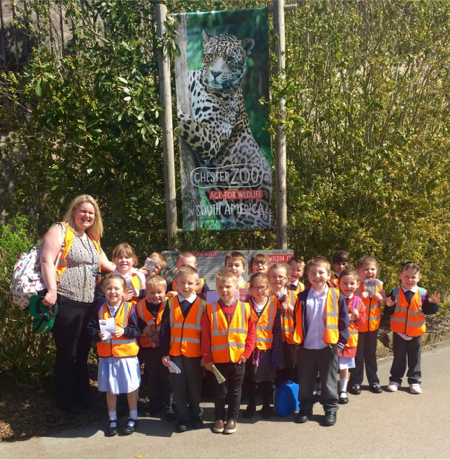 Said Year One Teacher, Julia McGhie: “Nantwich Primary Academy is very grateful to the Rotary Club of Nantwich for the funding that allowed our Year One children to visit Chester Zoo. It was a fantastic opportunity, which was both educational and fun for the children, many of whom had never been to a zoo before. We saw just about every animal and the highlight had to be the beautiful tigers in the new Islands exhibit which came right up close as if to pose for our photographs! “Our continued support of our local community as well as environmental causes around the world is one of the main reasons we exist. We were thrilled to be able to support both tigers in Nepal and our local primary school children - a great day was had by all.” said Rotarian, John Crowe. 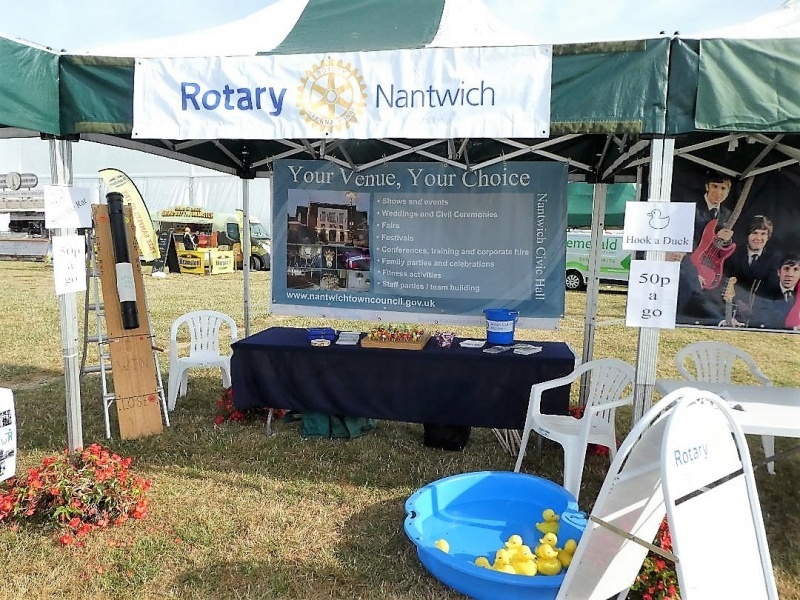 The Rotary Club of Nantwich was chartered on 1934 and currently has 36 members, and 3 honorary members. It is one of four clubs in the old Borough of Crewe and Nantwich. The others are RC Crewe (1932), RC Crewe and Nantwich Weaver (1985) and Wych-Malbank Nantwich Club (2018) . Thhe club is one of 79 in Rotary International District 1180, a district that covers the whole of North Wales, Merseyside and parts of Cheshire, Shropshire and Lancashire and embraces a variety of communities ranging from the pastoral peacefulness and tranquillity of rural areas to the hustle and bustle and vibrancy of the City of Liverpool. Indeed there are a total of four cities within the District, the others being Chester, Bangor, and the newly-designated St Asaph - each of which has at least one Rotary club presence. In addition there is also The Royal Town of Caernarfon. Visiting Rotarians are most welcome as are ladies and gentlemen wishing to know more about the Rotary organisation or become members. * Arrange fund raising events . 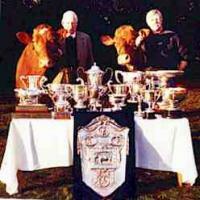 Reaseheath Family Day Sunday 19th May is fast approaching and we urgently need help on the Rotary stand.